It’s really hard to be quiet. The longer I go as a mom, the more opinionated I become on certain topics and the more fired up I can get. The carrot is often hung right in front of my nose, and oh so often I take the bait and say something I shouldn’t. Usually, I don’t think what I said was wrong. It was just, unnecessary. Perhaps it was also unnecessary of the other person to say it. Still doesn’t justify my own actions. I have sat in meetings where I have been able to see this played out. The person who is quick to speak says too much and appears foolish. The one who waits to hear what is being said and feels out the room then speaks and has everyone hang on their words. Wisdom seems to ooze out of their mouth. 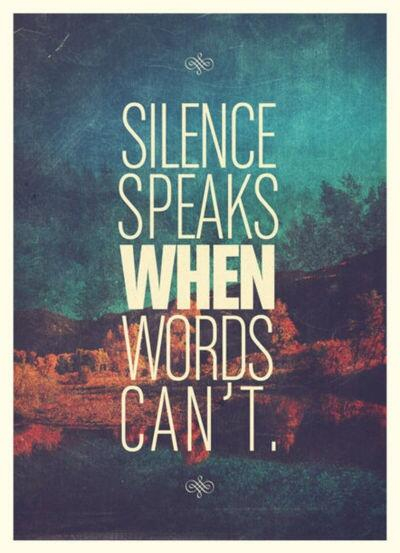 Shutting up is not easy. Just the other day I got in a fight with my husband because we were interrupting each other. We’re both talkers and often don’t even hear what the other is saying because we’re so busy speaking. 1. What am I adding to the conversation? The first question is important because if I’m just stirring the pot, it probably isn’t necessary. If I’m bringing what I believe to be truth, then the second question is so vital. Is it encouraging? Am I wording it in a way that doesn’t come across demeaning? We can be saying something that is meaningful but comes across hurtful. People just get their defenses up and the whole discussion was useless. Learning how to say something is just as needed as figuring out whether to say it. Both of these things take time. It requires giving ourselves space to process before blabbing. “Think before you speak” as many of us have heard. There is a time and place for bold discussions, but in the mom world and especially with social media, the temptation to make every tiny thing a big deal is so strong. How I introduce solids, sleep train or invest in my marriage are all really important to me. But they don’t make or break my friendship with you. So If I’ve ever spoke too soon or been just a little too zealous in my own defense, I’m sorry. You have permission to tell me to shut my mouth (but maybe in love). Our last day in San Francisco we were walking to Fisherman’s Warf and Pier 39 from our hotel and then taking the bus back since it was a good distance to walk. We had the double stroller and more belongings than we needed. It was a good time, but we were exhausted by supper. This is was end of a long trip. Caleb was done with big crowds and Amayah wasn’t loving sleeping in her car seat. We were told to walk up to Lombard Street and that we’d be able to catch a bus to our hotel. We walked up a minor hill for a bit and realized we were not seeing any bus stops. Feeling optimistic since the kids were quiet we kept walking, expecting to see one in the next few blocks. Suddenly we are standing at the bottom of an extremely steep hill. All I could think of is that I was way too exhausted to even attempt this. We looked up and down the street and realized we’d have to walk big hills either direction in search of a bus stop. 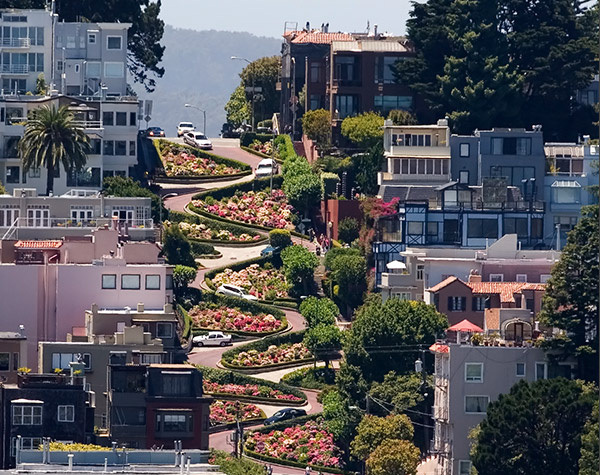 What we didn’t know is that Lombard Street is famous in San Francisco for its crazy hills and especially a section with eight sharp turns. Makes sense since at the top of each pass we climbed there was a large group of people photographing the view from the top. We conquered the first hill only to stand at the bottom of a yet another. We did that hill, to stand at the bottom of a steeper one. One road had stairs because the incline was so steep. These moments of deep exhaustion are where you see what you’re made of. I saw something in my husband that day that I had not seen before. It was a focused determination to finish strong. I’ve known that he is motivated but what I saw that day was an amazing ability to encourage and inspire me to greatness. My instinct was to collapse into a heap and say I want to go home and blame him for not knowing where the bus stop was. Because of his positive attitude and vocal encouragement I couldn’t give in to my complaining. His drive was contagious! When we climbed the last hill and enjoyed the view, I realized that this was a picture God was giving us for our life. With drive, determination, high doses of encouragement and relying on God, together we would conquer what we feel in the natural is impossible. There was a shift that took place in my heart during that walk. For the first time I finally saw Andrew has my team-mate and the power of encouraging one another. Unbelievably, October is upon us. This year is flying by so quickly, it’s scaring me! 2013 has been another big one of change and growth. So as everything pumpkin is welcomed into our house and the fall schedule is kicking in, I find it be a very motivating time of year. There are natural rhythms that cause us to reevaluate where we are at in organization, health, personal and relational growth. For me the two biggest times are at New Year’s and in the fall. You may remember I set some goals for 2013 in this post. I wanted to touch base and let you know how I’m doing, and hopefully encourage you to find your goals and give yourself a “check up”. It usually doesn’t take much to get back on track! After reviewing my goals I’ve missed almost every single “personal goal” but have managed to follow through or am on the right track on all my others. This is a bit of a reminder to me that I’m better at sticking to things that affect other people, i.e. my marriage, my kids, my finances, but I need to put some extra work into what’s beneficial to me. I’m going to take this an opportunity to tweak my personal goals and see if I’m not getting them done because they’re unrealistic, I have changed, or I’m simply not making the time. So with the Life Journal Reading Plan, I felt like God led me in another direction and I have been learning a lot through reading the minor prophets (I’m currently in Hosea) and studying Proverbs 31 in a little more depth. However…I’m slacking on that. I do believe I need to be in God’s Word every single day, and I haven’t been. This needs to be a priority. I haven’t made the time to go through the Power of a Praying Wife or Parent. Looking back I can see I set myself up for failure. I was doing too many sections of it in one day. That was good for the season God had me in, but now I’m feeling I just need to recommit to doing one reading from each and praying them through. Dance. Does dancing in my kitchen count? I’m going to change this one to simply getting exercise daily. Next year might be a good one to enroll in an adult dance program. Spend time in God’s Word everyday. Even for two minutes. Do ONE section from Power of a Praying Wife and Parent, 5 days a week. How did your goals hold up over the last 9 months? We still have three more months to redeem them!